Right Now | ¿Que Pasa? 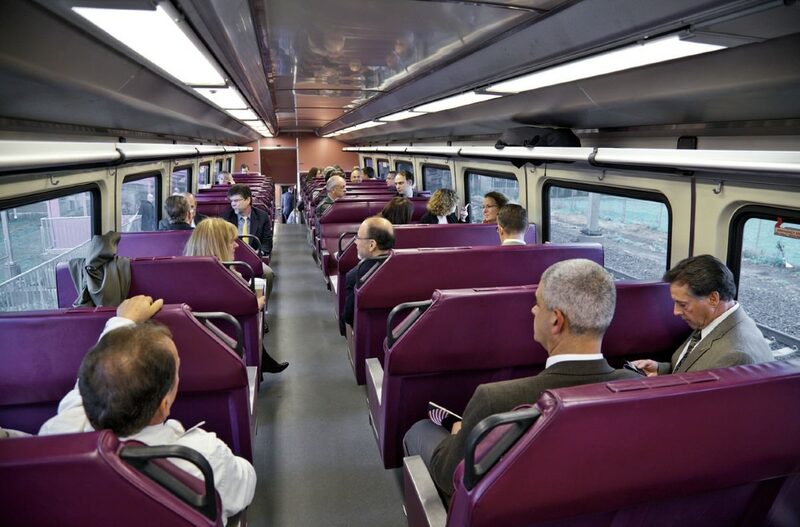 When researchers placed Spanish-speaking riders on a Boston-area commuter-rail train, xenophobic attitudes first increased, then decreased. Riding the train to work every day in Chicago, Ryan Enos began to notice an intriguing pattern: at a certain downtown station, all the African-American riders seemed to get off just as Caucasian riders climbed aboard. “It was like a meeting of two worlds, where you could feel this palpable tension between two communities that otherwise are strictly segregated from each other, but occasionally come into close proximity,” he says. Now an assistant professor of government, Enos at the time was teaching high school in the historically poor and almost entirely African-American neighborhood of Englewood. The experience of moving between two worlds and thinking about how that reality was an overwhelming presence in people’s lives, shaping everything from the way they view others to their own political views, led Enos to pursue the study of “racial threat”—how people react with uncertainty to those of a different race—in graduate school and his subsequent professional career. In his most recent paper, “What the Demolition of Public Housing Teaches Us About the Impact of Racial Threat on Political Behavior,” he explores how individuals’ politics are affected by the context in which they live. Between 2000 and 2004, Enos and a group of Harvard graduate students studied a public-housing reconstruction project in Chicago that caused the displacement of more than 25,000 African Americans, many of whom had previously lived in close proximity to white voters. After the African Americans moved out of the voting district, a startling effect became apparent: the white voters’ turnout dropped by 12 to 15 percentage points, leading Enos and his team to believe that white residents’ previously higher levels of civic engagement were in large part caused by feelings of racial threat. After dividing voters by race, Enos and his team measured how far they lived from the demolished housing projects and then estimated voting patterns, using a method called ecological inference (the process of using aggregate data to draw conclusions about individual-level behavior) developed by Weatherhead University Professor Gary King.